The Pixel Buds are an inevitability. The headphones were born out of necessity when Google embraced the smartphone zeitgeist and dropped the headphone jack with the Pixel 2. The company’s first Bluetooth headphones are a $159 attempt to ease that transition, and another chance to get Assistant out into the world currently dominated by Alexa. It would be a nice bit of consumer electronics alchemy if Google could pull it off perfectly, but the end result is much more of a mixed bag. Pixel Buds are a valiant effort to stand out while embracing a trend adopted by just about every name in the field, resulting in a product that’s sometimes inspiring, sometimes baffling and mostly just okay. They’re the kind of product you really want to like — but they’re just not there yet. 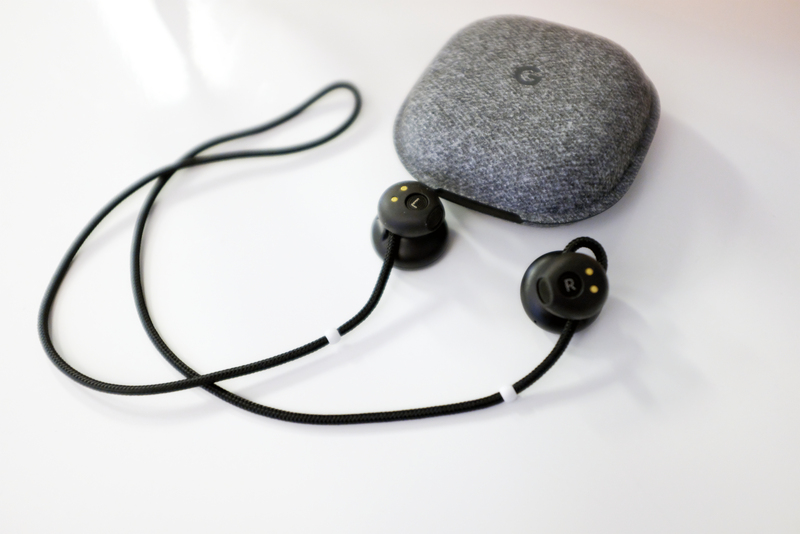 The Pixel Buds’ case is as good an indication as any of a company looking to put a unique spin on the familiar. 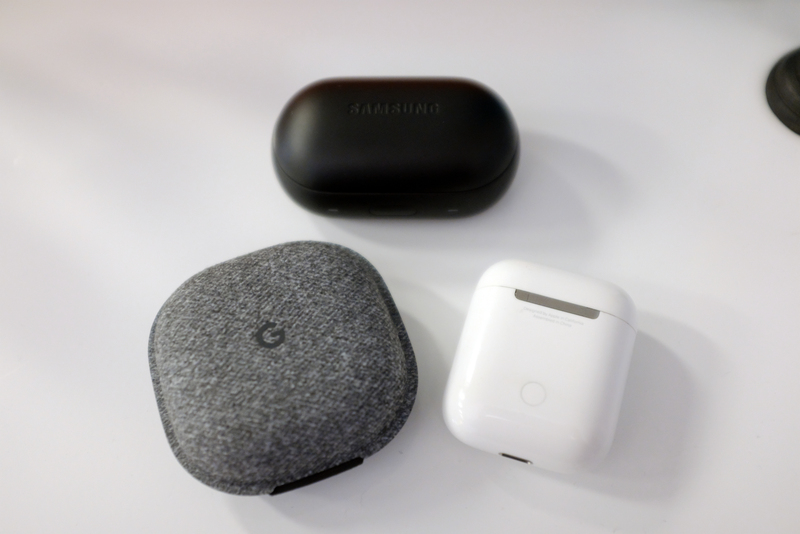 If the AirPods case looks like a Glide dental floss dispenser, Google’s is something approaching a fast food hamburger container. It’s a clamshell made from a much softer material than Apple or Samsung’s offerings. It’s also noticeably larger. It’ll fit in your pocket just fine, but it’s going to leave a much bigger bulge. Like the competition, the case does double duty here, both protecting the buds and keeping them in one place, while providing some battery backup. Google rates the Pixel Buds’ battery at right around the same spot as the AirPods, with five hours on board and an additional four charges in the case. All told, it should get you through the day, as long as you remember to slot them back in. 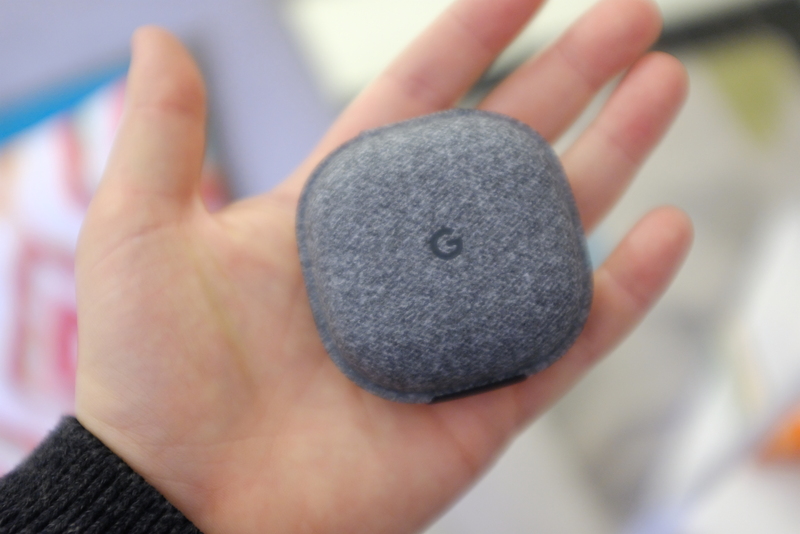 The exterior is covered in gray fabric — a nice touch that keeps it aesthetically consistent with the rest of the Google Home line. It’s also nice and soft to the touch, unlike the cold plastic of the competition. Still, it’s hard to shake the feeling that the case is a bit flimsy. It’s easy to imagine things getting worn out over time or the thin plastic hinge that holds the top and bottom together tearing after repeated opening and closing. Also, this is kind of a small quibble, I admit, but it’s a bit tough to get the thing open. I usually end up having to slide a finger nail in the thin gap in the front to pry the top and bottom apart. There are two small holes inside where the buds slot in for charging. This, too, is a bit of a tight squeeze. Unlike the AirPods, which slot in magnetically, or the IconX, which have room to breathe, I found myself having to maneuver the Pixel Buds in with a twist in order to get the charging notification to light up. And then there’s the matter of the cord. I go back and forth on whether I like the fact that there’s a cord connecting the buds. At the very least, it’s a differentiator from many of the other Bluetooth buds popping up these days. How about some pros first? So far, so good, right? As for the downsides, one’s pretty clear right off the bat: It’s a pain to get the things back into the case. I mean, you’ll get the hang of it, don’t worry about that, but it will take some doing. In fact, Google sent along an animated GIF to show the right way to get the cords, buds and everything into the case. I’ve included it here, because it’s handy. And there are a lot of wrong ways to do it. Trust me. And even when you do it correctly, you’ll still find there’s a bit of cable spillage over the sides from time to time, making it impossible to fully close. There’s a much more pressing issue with the hardware than that sometimes pesky cord, though. I had the damnedest time getting the things to fit. Like the AirPods, the Pixel Buds are made of a hard plastic, with no soft, squishy silicone tip. That means they’re unforgiving — if they don’t fit, they don’t fit. And for me, at least, the Pixel Buds didn’t really fit. Results will vary, from ear to ear, of course, but I haven’t had much trouble with the AirPods. 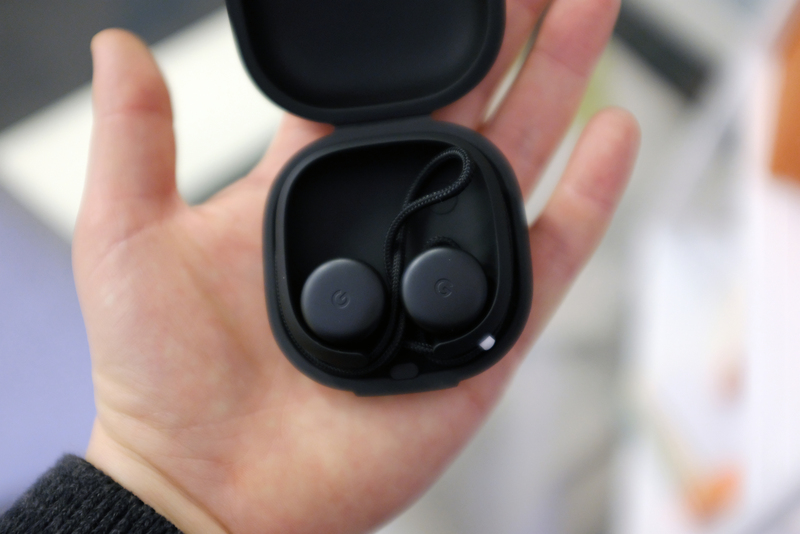 As with getting them into the case, the Pixel Buds take some maneuvering to get a good fit. Once you’ve done it a couple of times, you’ll get the hang of it. But the first few tries, the things kept falling out of my ears. And the lack of silicone tips like you find on the IconX means you won’t get a tight seal. The Pixel Buds are going to let some ambient noise in — a good thing, perhaps, when you’re on a busy city street, but hardly the ideal listening experience in the comfort of your own home. The awkward fit ultimately does a disservice to what’s actually pretty good audio, as far as Bluetooth earbuds are concerned. This is one key spot where the company outpaces Apple — and it’s certainly an important one. I’ve tried plenty of better wired headphones in my day, but Google’s done a good job striking a balance between convenience and sound — it’s just a bummer that it’s bogged down by so much bad stuff. Including the whole matter of actually getting the headphones up and running. Judging from some early online feedback, I’m not alone on this one. The Fast Pairing that was supposed to be one of the hallmarks of the new buds (and, by extension, Android), still has some kinks to work out. Like others, I found myself having to manually pair the Pixel Buds with the Pixel 2 by holding down a button on the inside of the case and going through the Bluetooth settings. Not the end of the world, but when you’re positioning this selling point as something that can compete against Apple’s W2 chip, it’s a pretty big bummer when you have to fall back on something more inline with the standard pairing. Again, results may vary, but this doesn’t appear to be an isolated incident. When it works well (as it did when I paired a set of Libratone headphones to the Pixel 2), it’s a nice and simple on-boarding process. When it works well. Google Assistant is one of the product’s saving graces. As with the Pixel 2, the hardware builds on much of the work the company’s been putting into contextual search and AI, delivering it in a convenient package. The right earbud doubles as a touch panel. Touching and holding secret service-style fires up assistant. Double-tapping triggers notifications. 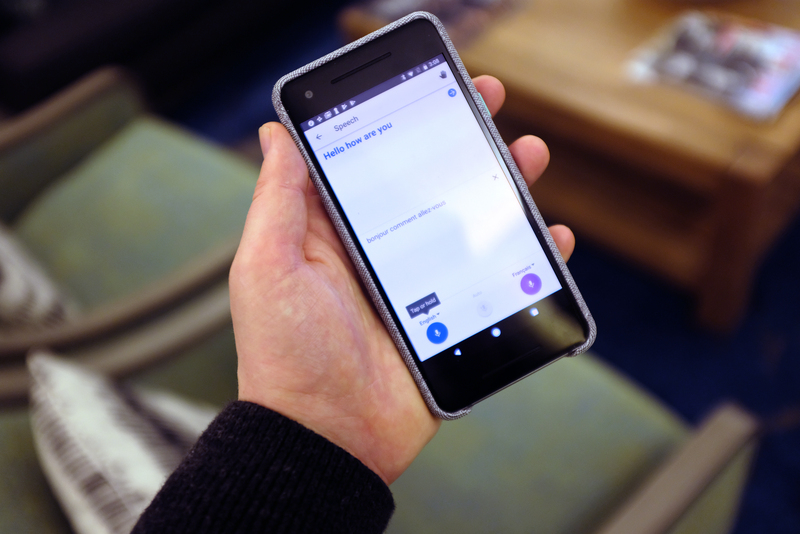 There’s nothing there that you’re not already getting on the phone, but it’s an easier way to interact with a voice interface than speaking directly into the phone. And then, of course, there’s translation, that killer feature that blew us all away back in October. It is, indeed, really, really cool — not this-is-going-to-eliminate-mankind’s-language-barrier cool, but cool nonetheless. I spotted a few reports of issues folks were having making it work. I didn’t have that problem, but the implementation is still kind of wonky here. It’s not the real-life Babel Fish we thought we were being promised last month. For starters, it requires a Pixel phone for the time being. No huge surprise there; Google does want to save a few cool tricks for its own products. You also need to download the Google Translate app to your phone and enable the languages you want to translate (from a list of 40). You then need to hold down on the right earbud, give Assistant the command and the Pixel Buds will listen for speech and translate accordingly. The functionality is still limited — but it works. There’s a slight lag in translation, naturally, and it really only works with shorter phrases. It also runs into the usual set of issues with attempting to recognize speech in a noisy environment, but it’s an impressive trick, nonetheless. The Pixel Buds have many of the trappings of a first-generation product. There are software issues and strange hardware choices. 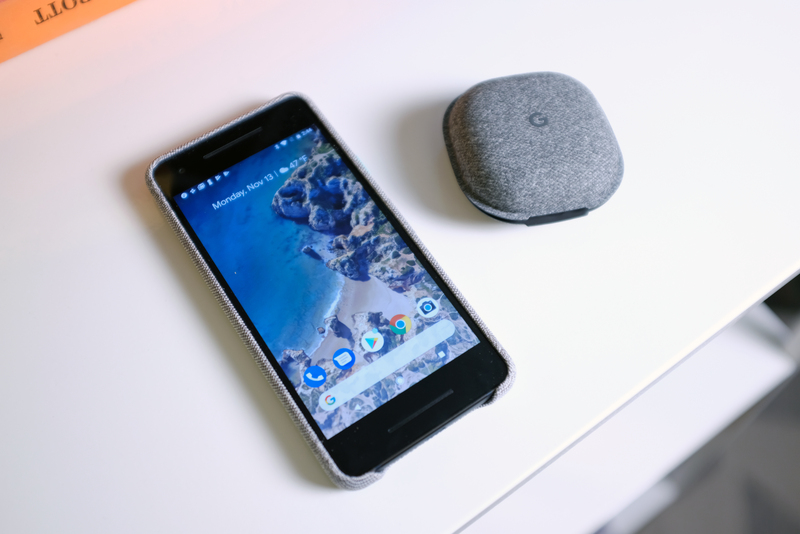 They’re a disappointing showing from what may be Google’s most eagerly anticipated hardware product this year, a slew of interesting ideas and valiant attempts wrapped up in a product that just doesn’t deliver. As recently as a couple of years ago, they would have been a contender for most the compelling Bluetooth headphones on the market. But given the strides much of the competition has made, they mostly land with a dull thud. Hopefully their lukewarm reception doesn’t dissuade Google from further development, because the seeds of a great product are here. But as it currently stands, there are better places to spend your $159.